Age: 7 Years Old = Solera aging so some of each bottle goes back decades. A damn fine rum for the money. A worthy expression of the Cuban spirit of rum but still very mixable. Notes: This is a review of the REAL Havana Club Rum from Cuba ( legally imported by me from Cuba on a visit there. NOT the “Havana Club” made by Bacardi ( rather disingenuously labeled Havana Club Anejo Clásico Puerto Rican Rum). 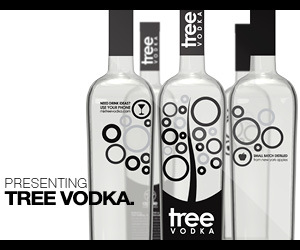 That rum in both the white and aged versions are reviewed separately on this website. There has been a lot of controversy and interest in real Cuban Havana Club Rum ( the forbidden fruit of rum for Americans since 1963 ) fueled by the embargo in the United States and the Bacardi Family and company in a very long and drawn out court fight over the label Havana Club . While we do not have the space to get into it here (indeed a number of books and hundreds of articles have been written about this epic struggle). I will state that there is a huge difference in the real Cuban Havana Club Rum in all its iterations and expressions and the Bacardi products labeled Havana Club. With the Revolution in Cuba and the United States refusing to recognize the new Cuban government or any of its Geographic indications or trademarks, a cottage industry sprung up of registering venerable Cuba trademarks in the US and selling products that had nothing to do with the originals except in name only. This is one of those examples. Havana Club was sold in the USSR and Eastern Bloc countries almost exclusively for a number of years and rarely seen outside of Cuba or those areas. This has changed a bit. 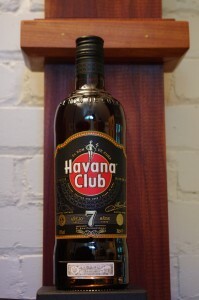 The Havana Club Company is owned by the government of Cuba and has a joint venture with Pernod Ricard of France called Havana Club International which was launched in 1994 to bring Havana Club to Europe and the rest of the world except of course the United States due to our trade embargo . Recent developments are allowing the import of the rum into this country by tourists returning directly from Cuba and also more recently from anywhere else in the world, such as Canada or Europe for personal use only. The same laws also apply to cigars but in both cases you must bring it in with you, mail order is not allowed. 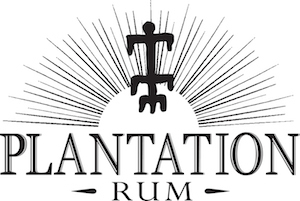 Much is made of the fact that this rum is from Cuba, not a imitation, and that the terrior, the cane and the climate all make for a distinctive geographic style and the company aggressively promotes this view and all the distillers and staff take great pride in the National identity and origin of this rum. The other expression we brought back and reviewed, the Havana Club Selección de Maestros can be found here. Appearance: Clear, if this was maple syrup it would be the highest grade – Light amber, a lovely faultless light golden color. First Impression: Spicy, with a mix of tropical spice, vanilla, oak char, hints of loam ,tobacco and a deep depth of complexity with the alcohol very much in the background supporting the other flavors rather than outrunning them. Taste: Oily entry, lighter than the Havana Club Selección de Maestros in mouthfeel and style, with a lighter but nicely oily body, sweet to start then a rapid drying and pleasant woody notes with layers of spice, followed by a bit of sweetness then a long fade that is semi dry and teasing you for more. Bottle: This is the new style bottle which came out in late May 0f 2016 and replaces the old style more cylindrical bottle is gold and red, and features the Giraldilla, a weathervane from the old fort of HavanaThis bottle almost seems more like a cylindrical bottle you would find a genever gin in and is quite a departure from the old style, with a short neck and a slightly wider foot. The front label is still easy to recognized the back label has a somewhat difficult to understand story about what I assume to be a style of Solera aging in the 7 year old blend. Cigars: A real Cuban cigar of course , but a lighter one – a natural wrapper Upmann corn or smaller would do nicely. Final Thoughts: A nicely done expression that captures the depth and complexity that a rum can achieve whilee still maintaining a freshness and a definite Cuban terrior.